Purdue, Kansas, Houston, LSU and Virginia Tech. I wouldn’t have had a problem with Auburn being seeded ahead of any of those teams, all of which earned No. 3 or No. 4 seeds in this year’s NCAA Tournament. After all, none of them won their conference tournament and finished the season as well as Auburn, which entered the week as the No. 22 team in the Associated Press Top 25. Now I understand that the AP Top 25 isn’t necessarily gospel and that things like NET play a part in NCAA Tournament seeding. 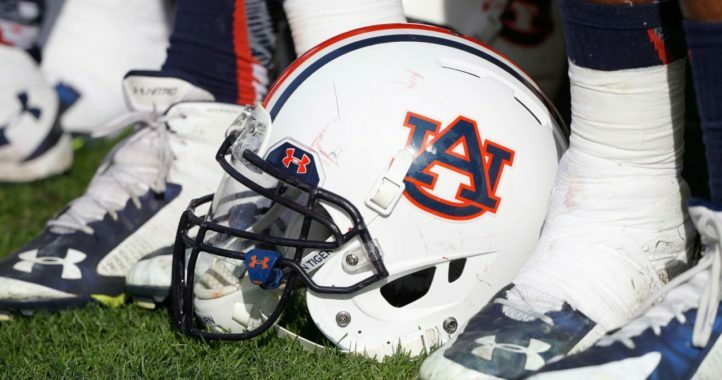 It just seemed awfully strange that Auburn came into Sunday ranked No. 18 in NET — that’s the second 5 seed — and a 20-point win against potential 1-seed Tennessee in the SEC Championship didn’t bump up the Tigers. Whatever the case, a 5 seed felt like a negative to close a day of nothing but positives for the Tigers after they won their first SEC Tournament since 1985. But there’s a sliver lining attached with that snub, and yes, it can absolutely turn into a positive. Let’s envision a scenario in which Auburn did indeed get at least a No. 4 seed. The Tigers would be riding that 8-game winning streak into the tournament with everyone telling them how great they are. Talk of “a team peaking at the perfect time” would be even louder. Maybe they’d be an intriguing pick to make an Elite Eight or even a Final Four. 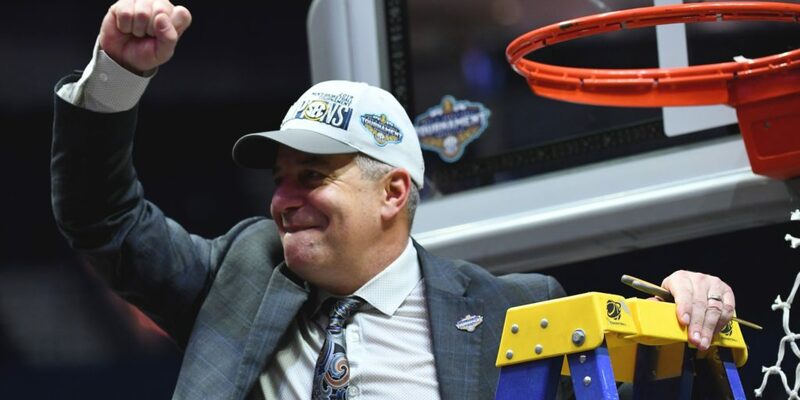 If I’m Bruce Pearl, that’s the last thing I want in my team’s head. Instead, I want there to still be that “us against the world” mentality. This time of year, you’ll take whatever you can get to show your team why it’s not being respected. It’s rare that a team gets that following a stretch like the one Auburn just put together. But now, the Tigers will instead hear about how they’re destined to fall in that dreaded 12-5 matchup. It’s the trendiest upset pick in your office pool, especially when it involves a 5-seed that has 1 NCAA Tournament win in the past 15 years like Auburn. You know what, though? Life could be worse. 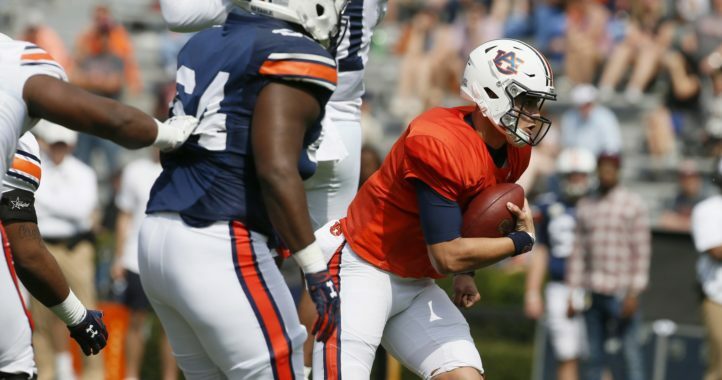 Auburn won’t face intense pressure. For a team that puts up a ton of shots and is at its best when it’s in rhythm from long range, that’s ideal. That’s what we saw against Tennessee. The Tigers shot like a team with nothing to lose. It didn’t even matter that Jared Harper couldn’t hit the ocean. Between Bryce Brown, Chuma Okeke and even Danjel Purifoy, there were more than enough Auburn players who caught fire. Perhaps even more important was that Auburn played like the underdog. It beat Tennessee to loose balls, it ran the floor better in transition and it dominated the offensive glass. That’s what needs to be the constant for Auburn. Really, it has been during this winning streak. That’s probably why the Tigers finally found the consistency they’ve been searching for all year. It’s no longer coming down to just how well Auburn shoots. They held their final 3 SEC Tournament foes to under 65 points. Perhaps part of that was how difficult it is to play with the Tigers at that tempo on such a quick turnaround. Whatever the case, that mentality would bode well for a potential trip to the Sweet 16. It’s possible that Pearl found the magic formula to maximize his team’s potential. It isn’t just hitting 3s, though that helps. It’s getting hands in the passing lanes to get out in transition (Auburn ranks No. 5 in Division I in steals). Figuring things out without Austin Wiley might have helped Auburn in the long run, too. Those little things made a difference in winning the SEC Tournament, but clearly, they didn’t make a difference to the selection committee. Would Auburn’s seed have changed if it lost to Florida and not even made the SEC Championship? Possibly. 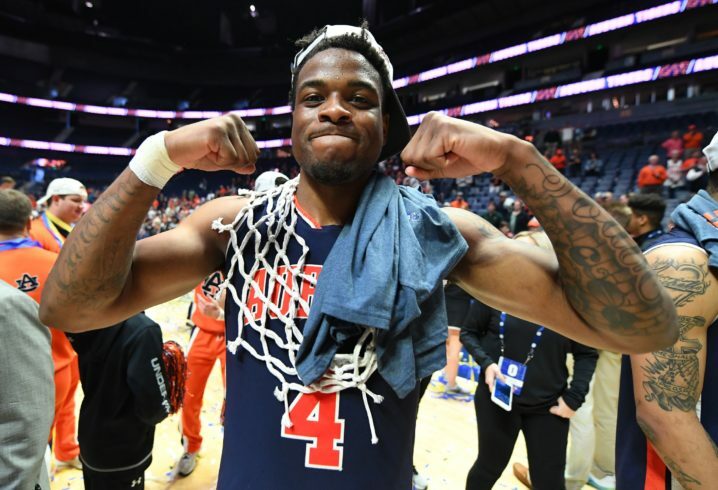 The selection committee was wrong to rank Auburn as a 5 seed. Pearl would be right to let that injustice fuel a deep March run. Should have been a 4 seed, but the committee obviously had everything filled out on Saturday and didn’t want to use the whiteout. Tough draw for my Tigers, but everything from here on out is just gravy on a great finish to the season. The last time we won the SEC tourny in 1985, (In 4 games just like this time) we had to go through Kansas in the second game of the NCAA tourny to get to the sweet sixteen. We upset them 64-62. Maybe this will be deja vu. I think we lost to North Carolina in the Sweet 16. We might have to face them again too. Just keep winning Auburn and the seeding won’t matter. Congratulations! Auburn is peaking at the perfect time. Good luck.